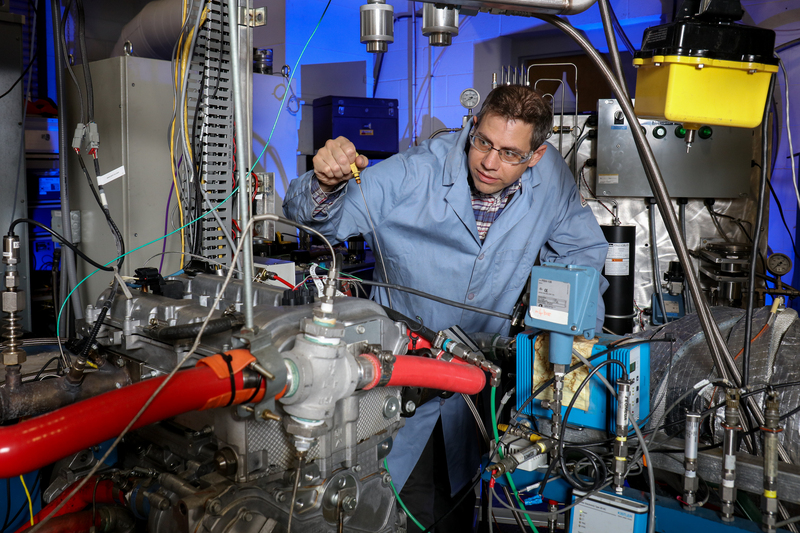 March 1, 2018 – Gasoline-powered automobiles could achieve an 8 percent or greater fuel efficiency gain through a new combustion strategy developed at Oak Ridge National Laboratory. Scientists have demonstrated a new method for reforming fuel over a catalyst, a process that chemically converts fuel into a hydrogen-rich blend. This blend allows more work to be extracted from the engine cylinders, increasing efficiency and saving fuel. “Typically, you incur a fuel penalty when reforming fuel,” said ORNL’s Jim Szybist. “We’ve created a systematic approach that addresses that issue and can be used with conventional fuels and conventional emissions controls.” The team published the method in Energy & Fuels and is working at ORNL’s National Transportation Research Center to demonstrate similar fuel savings at a wider range of engine operation.